If you want to make a decent living, education is key. Very few jobs requiring only a high school diploma earn more than $35,000 per year, and many of those occupations are declining. However, not everyone wants to go to college for four years after graduation – and not everyone can afford the price tag that comes with a bachelor’s degree. The good news is that education doesn’t always have to come in the form of a four-year degree. Many high-paying, fast-growing jobs are accessible to workers with an associate degree, post-secondary award, certification, or apprenticeship. Investing in trade school could be the best possible move for your career. 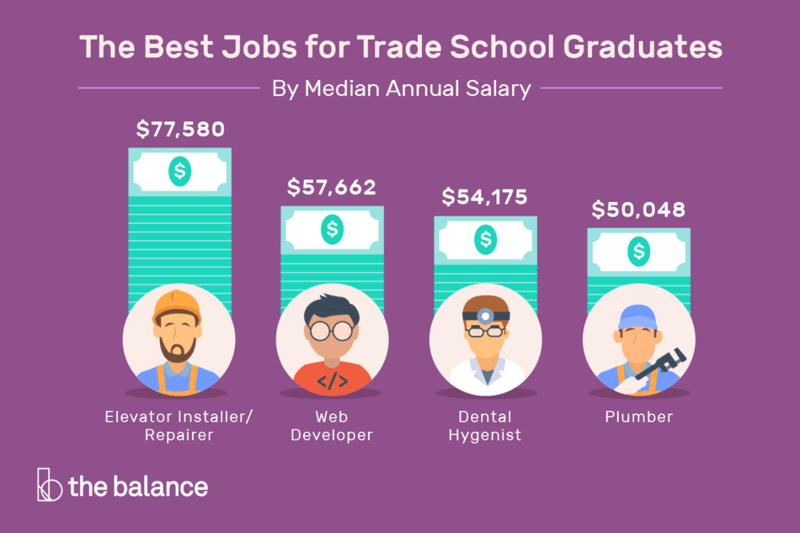 These are the highest paying trade-school jobs with a solid occupational outlook. Elevator mechanics, installers, and repairers have a good occupational outlook and high earning potential. 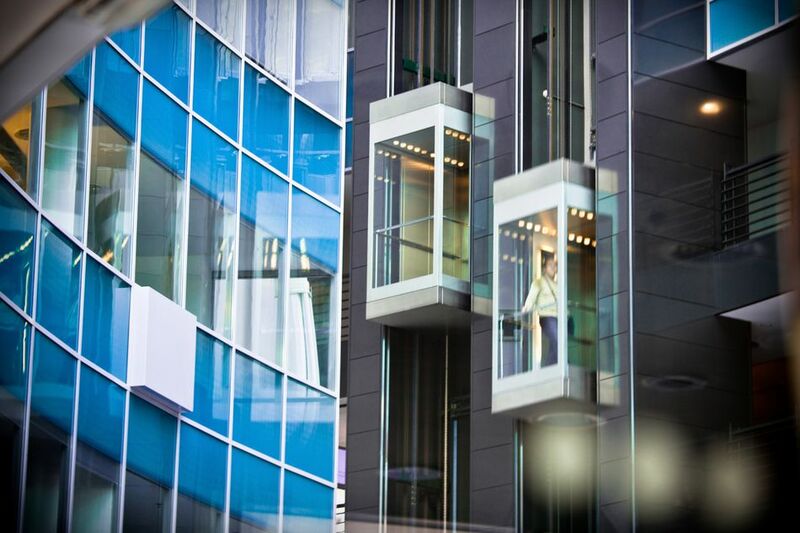 The job includes installing, repairing, and maintaining elevators, elevator doors, cables, and control systems, escalators, moving walkways, and lifts. If you’re cool under pressure and good with your hands (and power tools) this might be the perfect career for you. If you want to help people and earn good money doing it, you can’t do better than a job as a radiation therapist. Working with oncologists in hospital settings, these workers help administer radiation for cancer treatment. Radiation therapists require licensure, in addition to an associate degree. If you don’t mind getting your hands dirty and aren’t afraid of math, this job could be a good fit for you. You'll be installing and maintaining equipment, collecting and testing samples, recording data, and compiling reports. While some employers do prefer candidates with a bachelor’s degree, you can often get started in this field with a two-year degree. If you want to build a career as a web developer, you’ll probably have to go for a bachelor’s degree eventually. But some employers will accept years of work experience and an associate degree instead. If you love writing, testing, and debugging software, you’ll love this job. Sonographers administer ultrasounds, as well as preparing patients for procedures, and reviewing and processing images for interpretation by a physician. Job responsibilities also include preparing, maintaining, and operating imaging equipment. They often report high levels of job satisfaction. The job includes cleaning teeth, removing plaque, taking x-rays, checking for oral disease, and educating patients on oral hygiene. Dental hygienists routinely rank among the most satisfied workers. A passion for oral hygiene, as well as a drive to educate patients, will go a long way in this career. Electricians have fairly long apprenticeships – up to four years! – and require licensure to do their jobs. However, that training comes with a paycheck, however small, making it a better financial option for many than the equivalent amount of time in a degree program. In this job, you'll be reading blueprints, installing, maintaining and repairing wiring, controls and electrical components, and using testing devices to local electrical problems. Many respiratory therapists have bachelor’s degrees, but an associate degree can provide entry to the field. People with this job work with children and adults with respiratory issues performing diagnostic tests, consulting with medical staff, and performing treatments. If you want to work as a plumber, you’ll need both attention to detail and a certain amount of physical strength — as anyone who’s ever wrestled with a plumbing project as an amateur can attest. Plumbing licensing requirements vary from state to state, but you can expect to need some sort of licensure, as well as apprenticeship experience. HVAC (Heating, Venting, and Air Conditioning) technicians work on heating, cooling, and ventilation units, installing and maintaining equipment. This job typically requires two years of education past high school, often including on-the-job training in the form of an apprenticeship. The jobs listed above are those that pay the most and have the highest projected rates of new openings, but they aren't the only options to consider if you're starting your career or thinking about a change. Projected growth data provided by the Bureau of Labor Statistics’ Occupational Outlook Handbook. Salary data provided by PayScale.com. What Are the Best Entry Level Jobs?